The THRIVE Framework puts young people and families at the heart of decision making. It can often be a challenge to achieve shared decision making in settings as complex as services for children and young people’s mental health. Open Talk developed a shared decision-making model in partnership with children and young people. This workshop, combining THRIVE and Open Talk, is be co-delivered with young people. It has been designed to build on the existing skills and expertise of professionals in CAMHS, supporting them to apply shared decision making to more complex and challenging situations. This module also introduces potential tools and resources that may help facilitate shared decision making, including i-THRIVE Grids, and explore ways of measuring this. What tools facilitate shared decision making, and where might they fit in the treatment process? How do we assess and monitor decision making through clinically meaningful feedback and outcomes? Led by Kate Martin, Director of Common Room. 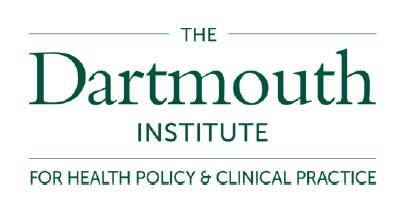 The Dartmouth Institute for Health Policy and Clinical Practice has developed an approach to shared decision making along with tools to support it in practice. As part of an initial i-THRIVE Academy event, the Preference Laboratory at the Dartmouth Institute delivered training in shared decision in June 2016. Attendees were introduced to Option Grid™ decision aids. Option Grid™ decision aids are a type of patient decision aid that help patients and care providers compare alternative treatment options and engage in shared decision making. i-THRIVE is working in collaboration with the the Dartmouth Institute to see how Option Grids™ can support shared decision making in a child mental health setting in a piece of work funded by the Health Foundation. These ‘i-THRIVE Grids’ are introduced and explained in the current i-THRIVE Academy Shared Decision Making module outlined above. You can access the slides from the training here.